Take advantage of your time in Ushuaia by booking a private tour of Tierra del Fuego, a nearby archipelago whose stunning natural scenery will amaze you. 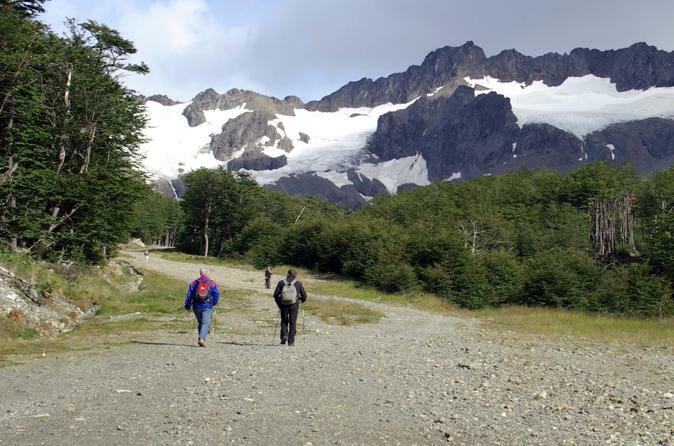 Explore the mountains and valleys of Tierra del Fuego National Park, the southernmost national park in the world, and enjoy several scenic hikes along picturesque Patagonian lakes with your private guide. In 1833, Charles Darwin set sail along the Beagle Channel. 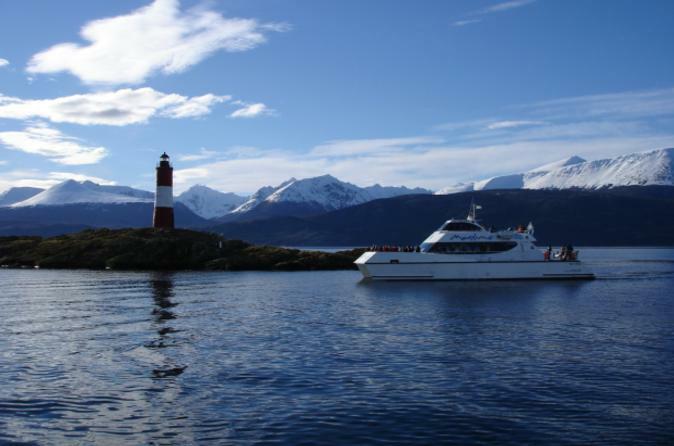 You can follow his course on a 2.5-hour catamaran cruise from Ushuaia. You'll capture sights of Ushuaia’s former prison, check out the End of the World Museum, and admire views of Five Brothers and Olivia mountains, among other sights. After reaching Les Eclaireurs Lighthouse and eyeing shipwreck ruins, come upon throngs of sea lions at Sea Wolves Island and the winged residents of Bird Island. Enjoy guided commentary and round-trip hotel transport. Discover Tierra del Fuego National Park on an outdoor adventure that includes a 3-hour hike, picnic lunch and 1.5-hour canoe paddle. With a specialized guide you’ll explore Patagonia's national park, where mountains, freshwater rivers and lakes are all accessible near the coastal sea. During this day trip from Ushuaia, hike through the woods and row your boat over Lapataia Bay—a must-do activity while in Tierra del Fuego! Numbers are limited to 12 people, ensuring an intimate experience with a small group. 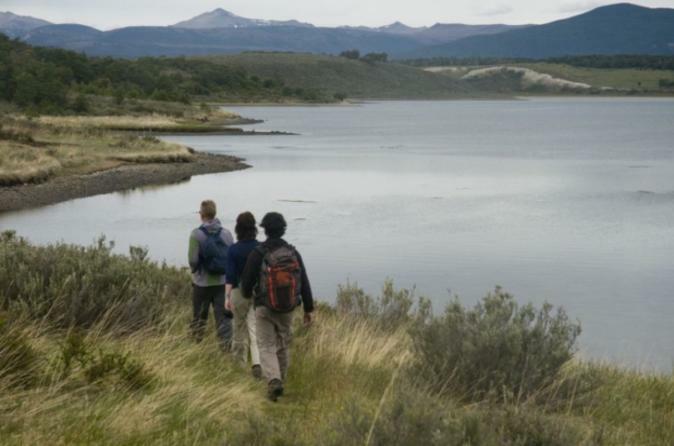 Get outdoors and soak up the gorgeous scenery and natural beauty of Tierra del Fuego on this full-day eco-adventure from Ushuaia. Professional guides take you canoeing for 2 hours down the Lasiphashaj River and the Beagle Channel, or you can opt to drive straight to Estancia Harberton to tour the historic homestead and unique museum. 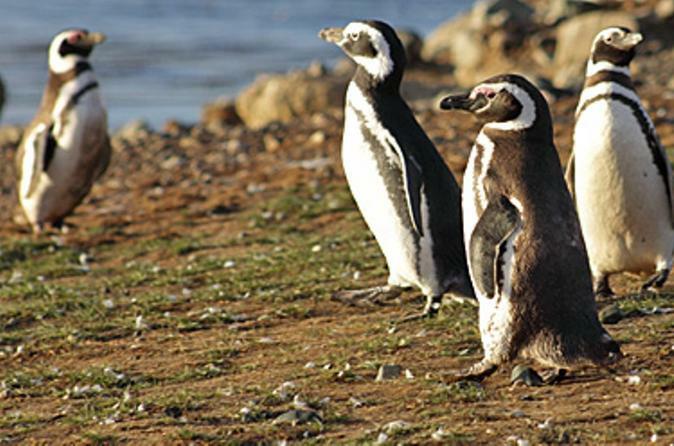 Then ride a Zodiac boat to Isla Martillo and walk among Magellanic penguins before lunch and a 1.5-mile hike over beautiful Gable Island. Includes round-trip hotel transport by minibus, plus food and wine. 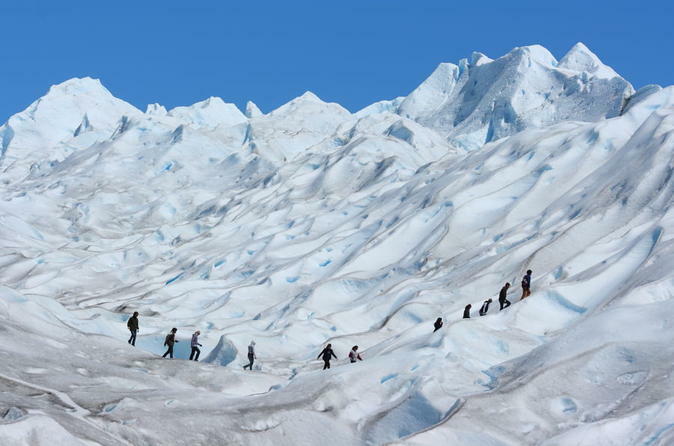 Spend three days exploring Ushuaia and its surrounding natural wonders on this all-inclusive multi-day adventure tour. Enjoy the majestic landscape that surrounds Ushuaia as you travel off the beaten path to Tierra del Fuego National Park and the Beagle Channel. Don't miss out on this opportunity to spend three days at the end of the world! 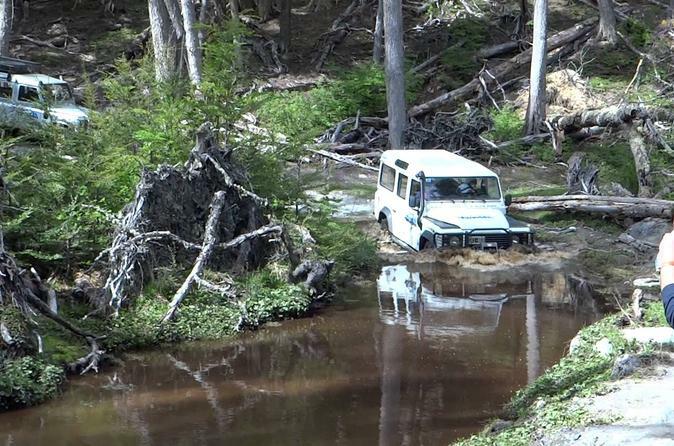 See the natural wonders of Argentina in this off-road excursion toward the northern region of Ushuaia. Go on a 4x4 journey of the lakes Fagnanos and Escondido. 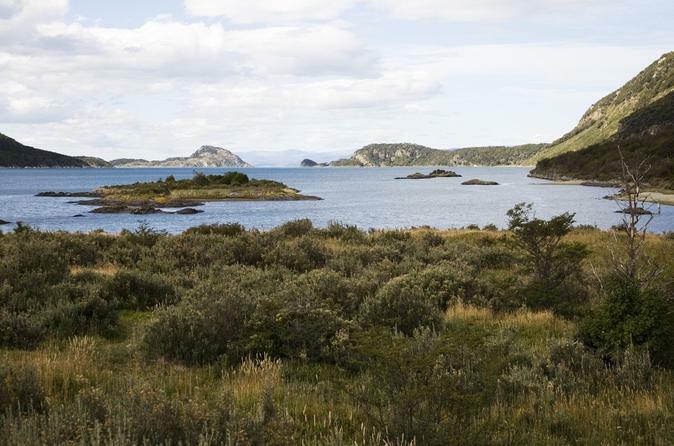 Explore the area and learn about Tierra del Fuego geography, flora and fauna. Meet your guide at the touristic port of Ushuaia in downtown. We will then drive 90km on the legendary National Route N.3 and then Complementary Route J to historic Harberton Farm. The farm was founded in 1886 by an Anglican missionary, Thomas Bridges and it is still held by the family. Travel to the end of the world! 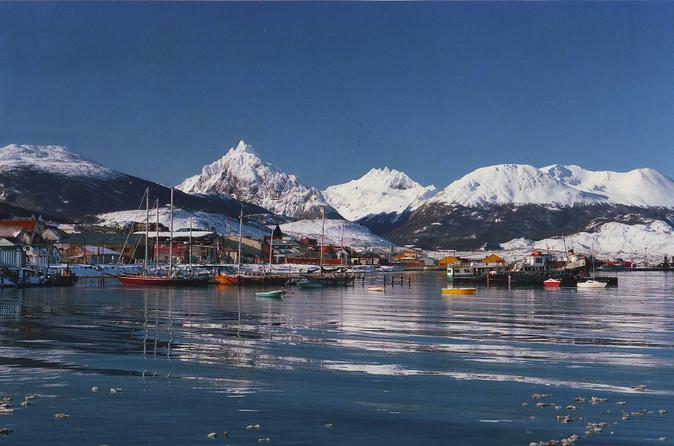 Join us in this adventure and get to know the most southern capital city in the world, Ushuaia. Be astonished by its landscape littered with dense forests, snow-capped mountains, lakes and millenary glaciers.